We take small change and make a big difference with it. Penny Appeal was set up in 2009 to provide poverty relief across Asia, the Middle East and Africa by offering water solutions, organising mass feedings, supporting orphan care and providing emergency food and medical aid. Since then we have transformed lives and empowered communities around the world, helping to break the poverty cycle and build brighter futures. 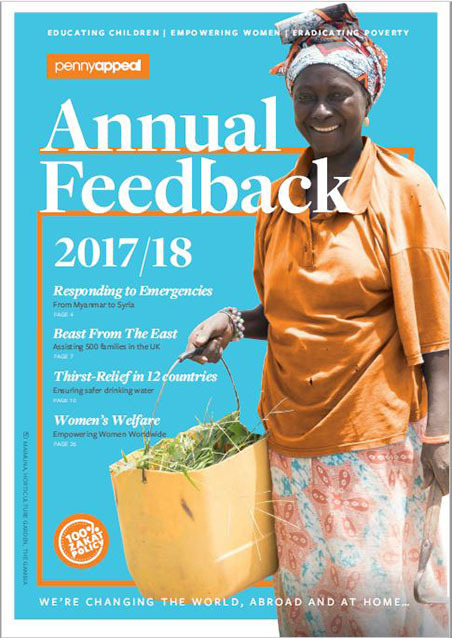 Our work and our teams have grown considerably in the past few years, allowing us to launch many new campaigns and work in even more crisis-hit countries. 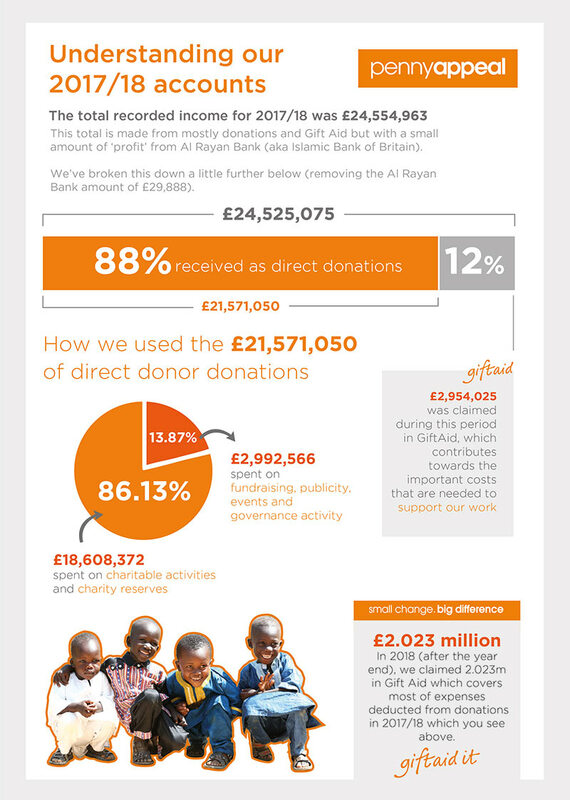 Penny Appeal’s way of doing charity is simple, and has a massive impact. We make charitable giving affordable and rewardable, ensuring everyone can help the poor and needy by donating just a few pennies each day. All our projects are carefully constructed and designed to be accessible and effective. They are a blend of emergency support, short-term relief and longer-term sustainable interventions. This multi-focus approach means we can save lives immediately, improve situations in the coming days and weeks, and transform communities for years to come, always giving desperate people the support they need depending on their situation. We’re reaching out to benefit the maximum number of poor and needy people, in ways that cost our donors just a bit of loose change each day. Penny Appeal has a commitment to continuously improving safeguarding processes and has a culture of vigilance and awareness. In addition, our zero tolerance approach to breaches of our safeguarding policies means that we will thoroughly investigate all alleged breaches. Some of our staff and volunteers carry out roles that require them to work with people who are considered to be at higher risk of harm, including children and adults at risk. Our vetting process for staff, volunteers and consultants includes the appropriate background checks, interviews and a Disclosure and Barring Service (DBS) check, where relevant. All staff undertake an online safeguarding course and those with a front-facing role, attend a comprehensive, in-house safeguarding training session. We continuously monitor guidance from Government, the Charity Commission, BOND and SAFEcic on procedures and protocols for safeguarding. All calls will be treated in the strictest of confidence. Please label your donations clearly with your name and any particular cause you would like your donation to be used for and please notify us when you have made your donation by emailing us at: info@pennyappeal.org and we'll send you a receipt. Please write any specific directions on the back of the cheque.